The tennis league was deeply saddened to hear about the sudden death of Bishopthorpe’s Helen Williams this week. Regarding ladies league, she was a regular member of Bishopthorpe’s second team and occasionally played in the first team. She also captained Bishopthorpe’s second mixed team. Helen had been playing matches until very recently and on speaking to some of our members at Fulford who had regularly played against her, they all said what a lovely person Helen was and that they’d always enjoyed playing against her in a fair and competitive spirit. It’s really difficult to take in the news about Helen as things have happened so suddenly. I guess all of us ladies get a lot from our tennis, as I’m sure Helen did, but I know she also gave a lot back to it in being an active member of her club. Heartbreaking for all at Bish who knew and loved her, obviously more so for her family…. York 1 took a substantial step to retaining the division 1 title of the Fulford Ladies Invitation Tennis League by defeating second place Dunnington 59-49; the ever reliable partnership of Wendy Stirke and Lou Lister top scoring in the match with 26 games. Poppleton remain in third place after beating Castlegarth, whilst York 2 overcame Pocklington by a couple of games to move up to fourth in the table. Jane Parkin and Jen Hall were unbeaten for division 2 leaders Bishopthorpe in their 66-42 win against Appleton. David Lloyd remain in second place after a comprehensive win at Pocklington, whilst Boston Spa’s winning run was halted by Rufforth as captain Kate Lewis shuffled her team which resulted in their three couples scoring 19, 19 and 17 games, to see them past the post. Copmanthorpe and Tollerton continue to battle it out at the top of division 4. Both recorded comfortable wins against Sutton and Boston Spa respectively, Cop’s Laura’s – Simpson and Atkinson taking 23 games. David Lloyd had a huge win against struggling Knaresborough, who are still looking for their first victory. The top two teams met in division 3 where despite a 25 game haul from Wistow’s Rachel Huggins and Sue Hudson, Wig came out victorious, so trade places with them and top the table. Rowntree Park made light work of Popp’s challenge, beating them 71-37, whilst Cliffe had a closer margin of victory over bottom placed Riccall. Top met bottom in division 5, though leaders Dunnington were pushed all the way by Fulford, they eventually came out 57-51 winners. Bubwith remain in second place after beating Cop, meanwhile Bish and Stamford Bridge lost out at Wig and Heworth respectively. Wilberfoss already look likely champions of division 6, their win over David Lloyd putting them a massive 8 points clear of second place Appleton who overcame Cop. Bubwith recorded their second consecutive win to climb the table, whilst Popp beat Dunnington 56-52. 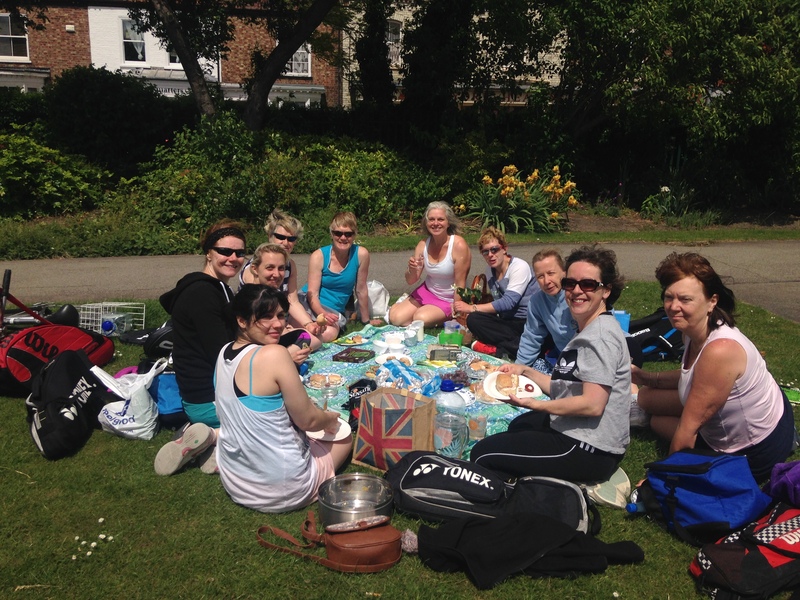 Only a handful of matches survived the weather in the Fulford Ladies Invitation Tennis League. The top two teams in division 3, Wistow and Wigginton, both recorded 69-39 wins against Fulford and Poppleton respectively, Wig captain Denise Crane and partner Sandra Burley leading the way with a 28 game haul. Meanwhile, Rowntree Park continue to climb the table after beating Riccall. Despite a 25 game score from Ann Murray and Sue Lister, Dunnington were unable to prevent division 6 league newcomers, Bubwith 2, from claiming their first ever victory. Wilberfoss remain top and undefeated after a comfortable win over Sheriff Hutton. Stamford Bridge claimed their first victory of the campaign in division 5 of the Fulford Ladies Invitation Tennis League by beating Wigginton 67-41. Dunnington remain top and undefeated after a 65-43 win at Copmanthorpe. Bubwith continue to chase though, after a comprehensive win at Heworth. Andrene Watson and Sue Hanley helped move Bishopthorpe up to third place after amassing 25 games in their defeat of Fulford. Top met bottom in division 1, with leaders York 1 coming out comprehensive winners at Castlegarth, Louise Marshman and Fiona Geldart starring for the Clifton Park club, by only dropping three games. Dunnington demonstrated their championship ambitions by beating second placed Poppleton 59-49 with a good team performance led by Val Vladea and Rosie Todd. A closer encounter saw Starbeck move up the table after overcoming York 2 56-52, meanwhile Fulford went down to a home defeat against Pocklington. Wilberfoss march on at the top of division 6, with top scorers Roz Latham and Liz Walker claiming 30 of their 69 games against third placed Appleton. Despite a 20 game haul from Margaret Denness and Anna Stephenson, Bubwith 2 just missed out against David Lloyd 3, going down 52-56. Dunnington and Sheriff also recorded victories by that same score over Copmanthorpe and Poppleton respectively. David Lloyd 2 got the better of Dunnington in the top of the table clash in division 2, but remain second after Bishopthorpe’s win against Castlegarth. Dominique Morrisey and Sheila Stuart bagged 29 games in Boston Spa’s win over Appleton, elsewhere Pocklington beat Rufforth 57-51. Wigginton leapfrog Fulford 2 in division 3 after a crushing 93-15 defeat of a below par Fulford team. Wistow remain top however, after fighting out a draw with local rivals Cliffe. Rowntree Park climb off the foot of the table after recording their first win of the season at Knaresborough, captain Breeda Gallagher and Sandra Robinson leading the way with 26 games. Copmanthorpe still lead division 4 after a commanding 91-17 win over bottom club Knaresborough. Solid scores from all three couples led Tollerton to victory at New Earswick. David Lloyd remain third after defeating Sutton, whilst Boston Spa overcame a depleted Cawood side. Pocklington 1 couple, left Rebecca Hill with partner Vicky Bland. 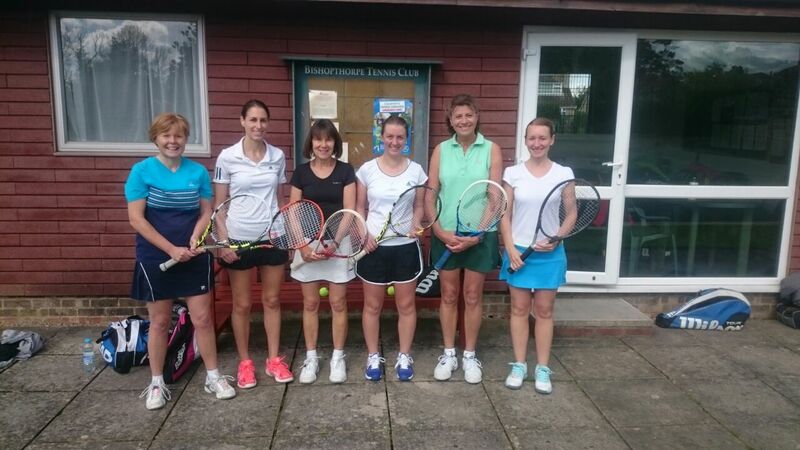 It was all change at the top of division 4 in the Fulford Ladies Invitation Tennis League after consistent performances from all three couples gave Copmanthorpe a 58-50 victory over Boston Spa to go into top spot. Tollerton made the most of David Lloyd’s newly resurfaced courts to defeat the home team and so overtake them in the table. Lesley Savage and Carolynn Taylor starred for Cawood in their victory over struggling Knaresborough; meantime, Sutton and New Earswick remain mid table after fighting out a draw. Division 3 leaders, Wistow, went down to a heavy 70-38 defeat at Knaresborough, which included a 25 game haul from Mary Riley and Janice Macmillan. An inspired 12-0 score by Wendy Cook and Tiril Wilhelmsen in the final rubber helped lead Fulford 2 to victory over Rowntree Park, leaving them second in the table and the only undefeated team in the division. Wigginton and Cliffe recorded victories over Riccall and Poppleton 2 respectively to remain in the chase. Pocklington 2 collected their first win of the summer in division 2 overcoming Appleton 60-48, aided by a significant 25 game haul from Di Flint and Jean Hunter. The top three teams all recorded victories, so remain equal on points, but Dunnington trade places with Bishopthorpe on games difference after scoring a couple more games in their 75-33 victory at Rufforth. David Lloyd had a tighter margin of victory, Lisa Garland and Lucy Crawford claiming 25 games to see them home to a 56-52 win over Castlegarth. In division 1, Poppleton 1 stay in touch at the top after defeating Starbeck; mother and daughter Belinda and Rebecca Turnbull teaming up to win half of their team’s 60 game total. York 2 had a closer 57-51 triumph over Castlegarth, who have yet to record a win. Karen Mitchell and Alex Bolam bagged 27 games in Dunnington’s comfortable victory over Fulford; meanwhile table toppers, York 1, overcame Pocklington’s challenge to remain undefeated this season. Wilberfoss maintained their 100% record in division 6 with a 63-45 defeat of Popp 3. 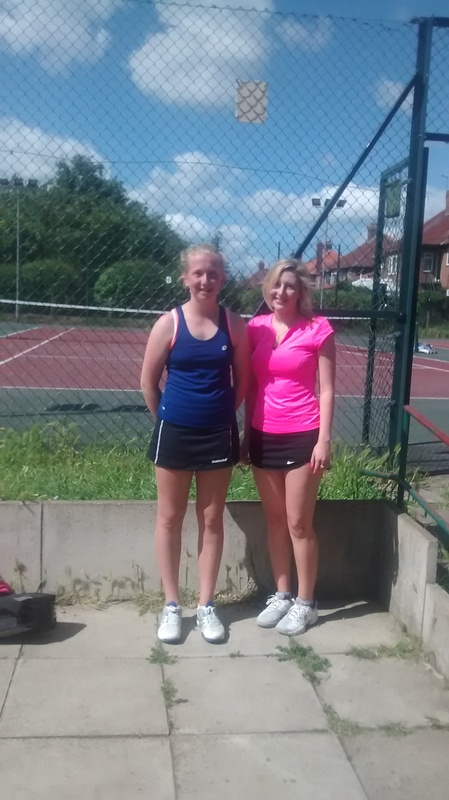 Suzanne Straw and Liz McKenzie-James amassed 27 games in David Lloyd’s victory over Dunnington. Appleton’s win over Sheriff sees them climb into second place, elsewhere Copmanthorpe overcame Bubwith 2 60-48. Dunnington 3 beat Bishopthorpe 2 65-43 to remain undefeated and top division 5, Linda Molloy and Sara Grinnell leading the way scoring 27 games. Bubwith got the better of Wig 2, whilst Copmanthorpe 2 beat Stamford Bridge 68-40.